I’d already crossed everything about this blog off my Monday to-do list. Marriage Improvement Monday: Done. Check. Over. Time to move on to the other stuff—the stuff that I actually get paid to write. But first a hot cup of Procrastination Tea was in order. And, heck, I can’t write much while sipping tea, so I figured I might as well read a few blogs until my tea was done. That’s when I read Julie Roads’ post, “Telling Stories” in which she talks about how she wrote the story of her life before that story actually happened. By writing it out, she made the story come true. So I’m going to do it. 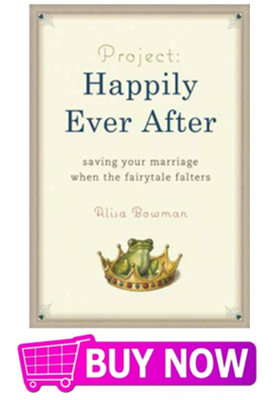 My book Project: Happily Ever After tells the story of how 12 marital improvement books saved my marriage. It will debut in January. Before the book debuts, a much different story will be unfold. This story’s main character was once a 5th grader who aspired to be a science fiction novelist, but who was told by her teacher that she couldn’t write. She was once a newspaper reporter who wanted to write for the New York Times, but instead chickened out and went into book publishing instead. She’s now considered one of the country’s top ghostwriters of books, but now she’s got words of her own to put between two covers. She’s helped more than 15 authors face that scariest of days. It’s called this: Book Release Day. Now she’s facing her own scariest of days. She’s worried. She’s finally written a book in her own voice and with her own byline. Is her voice boring? Is her story boring? Is her writing boring? Will the book flop? Will she walk away from this experience feeling like a failure? Those, folks, are just some of her fears. Oh, let me tell you, this girl has got fears. She has fears about the horrific indignity that could ensue if her hair looks greasy when she appears on TV to talk about her book. She has fears about her hands shaking and her face turning beat red when she gives speeches about the book’s story. She has fears about her friends buying the book, but then avoiding her for days, months and even years because they fell asleep on page 1 and are too embarrassed to see her and tell her that. Thankfully for our fearful, neurotic main character, this fairy tale includes a sidekick. His name is Tim Brownson, and he is the knight in shining armor behind the story about the story. (Confused about that? I think I might be, too. Bear with me). I either learn how to style my hair or just stop worrying about it already. Tim, you see, is going to be the clichéd wind beneath my wings. He is going to make sure I do not chicken out. If I check myself into an insane asylum, he’s going to march on over there and he’s going to check me right back out again. He’s going to make me face each and every fear I have about publishing this book. And I am going to publish the story of how he manages to pull that off right here, on this blog. The first chapter opens next week. Monday marks my first session with Tim. During that session Tim is going to help me face my fears about an upcoming journalism conference, one in which I will be speaking about the future of publishing and trying to force myself to network. I believe he said he would be mailing me some Xanax. On Tuesday, I will write the story of what Tim tells me I should do at the conference. This story will be a story about the future, and about how the conference is actually going to go before it actually happens. Then, I’ll check in here a week later and let you know how the real story turned out. You with me? You up for writing the story of your life before it unfolds? Do you think there is any merit to doing this? Wish me well, and leave a comment.